1966 Riley Kestrel - I posted this car 2 years ago. (You can see the post here.) Since then it's been through two owners and is back on eBay. 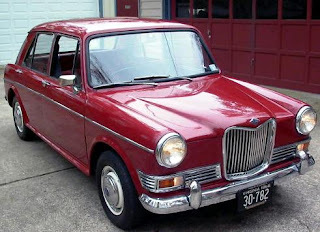 As I mentioned in the earlier post, the Riley Kestrel was more "upmarket" than the Austin and MG ADO 16 (BMC's name for them) cars we received here in the US. This car is a New Zealand import. It's in great condition. The big downside to it is the steering wheel being on the right. However, if you can deal with that, this is a car that you you could be driving and enjoying as soon as you finish signing the paperwork. Located in Ardmore, PA, click here to see the eBay listing. A big thanks to JaCG reader, Ben, for pointing this out to me! 1978 Fiat X1/9 Signature Edition - I'm not familiar with the "Signature Edition", but it really doesn't matter whether this a special edition or not. This is a very nice, low mileage X1/9. This car has just 15,000 miles on it. The seller says it has never been "restored, improved, or modified". The seller has, and is including in the sale, the factory/dealer window sticker, warranty booklet, factory sun visor starting instructions, owner's manual, and even the original temporary registration from dealer. For an extra $600.00 he'll include a set of beautiful BWA wheels. Rust and mechanical issues destroyed most of these cars. Virtually every one you see today has been restored or at least refurbished. Original cars like this one are few and far between. 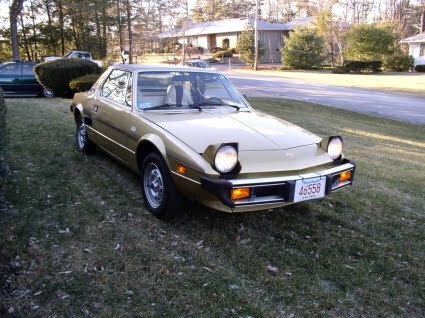 Given its low mileage and condition, the asking price of $7900.00 seems very reasonable. Located in Paxton, MA, click here to see the Hemmings ad. 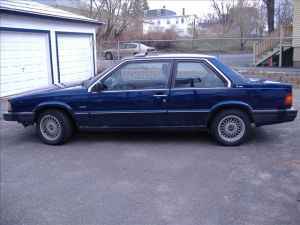 1989 Volvo 780 Bertone - I've posted a few of these before. Based on the comments and the number of "hits" those posts received, these are very popular cars among JaCG readers. This one seems like it might be a bargain. It has 150,000 miles on it. The last 55,000 were put on by the seller, who has owned it for the past 5 years. He has all the service records for the past 5 years. The seller says it needs some minor work and is including a list of what needs to be done. The car recently had a tune up and "thorough checkup". These are very cool cars. It would not be that much of a stretch to look at them as Italian cars with Swedish reliability. Located in Newmarket, NH, click here to see the Craigslist ad. The Volvo and X1/9 share trunk/fuel (Volvo) & engine cover/rear trunk (X1/9) releases.